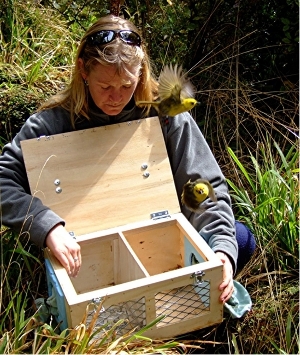 We are helping the recovery of New Zealand’s land-breeding threatened animals. 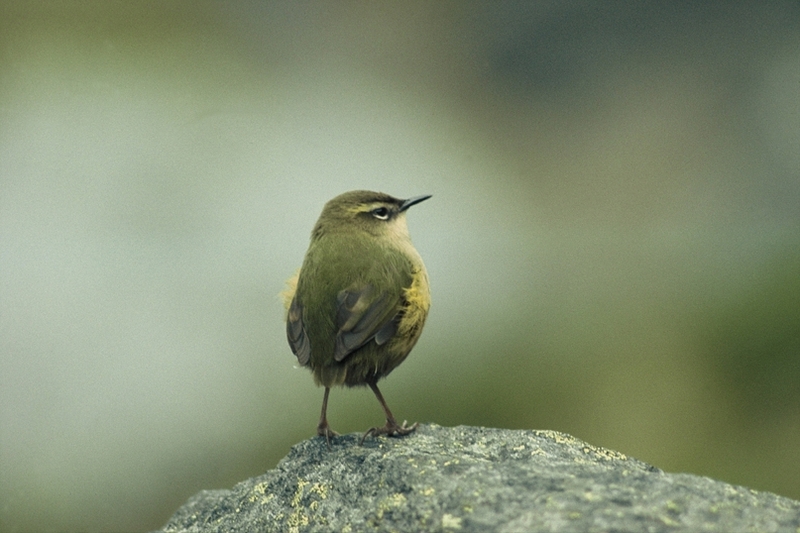 Land-breeding animals includes seabirds, arguably NZ’s biggest claim to endemism fame. We have funded discrete projects on the public estate since 2002, which are often species translocations or predator control for existing populations. Lately our major effort is ecosystem restoration on Trust-owned Puangiangi Island. We think we bring a zero-overhead, technically competent, effective and money-saving approach to conservation. New Zealand has some of the most unusual animals to be found anywhere. This is because we’ve been a remote group of islands for a very long time since separation from Gondwana, and our wildlife has been evolving ever since without outside influences. Wild creatures are under pressure everywhere from habitat destruction, but we have an even more insidious problem. 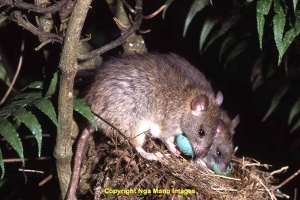 New Zealand has no endemic mammalian predators, and many of our species have evolved without effective defences against them. People arrived late in the piece, and brought a nasty mix of predators with them- rats, stoats, possums, mice, cats, dogs. A lot of species were wiped out almost before we even knew they existed in the first place. Those that remain are often under severe pressure and, whilst there have been some brilliant advances, a lot of conservation work in New Zealand remains ambulance-at-the-bottom-of-the-cliff stuff: local predator control, and transfer of remnant populations to predator-free offshore islands. You are supporting an apolitical organisation, run by unpaid, scientifically qualified and financially successful trustees, and advised by leading conservation practitioners. Every dollar is spent directly on project work. When funding a project on the public estate we are looking for a competent project champion, a species worth working on (threat status and degree of endemism are important here), a project that’s ready to go (maybe partly funded by government already), and where a discrete intervention will lead to more animals, quickly, measurably and cheaply, and where ongoing maintenance is not needed or minimal. The ideal project will therefore be run by a world-leading conservation practitioner, work with critically endangered, utterly unique animals, make massive numbers of them in lots of protected areas, require no ongong maintenance, and cost around a dollar. We haven’t found the perfect project yet, but we try. We have used DOC as the delivery arm for these projects as we feel that a high concentration of the best people can still be found there, even these days. It’s a sad fact that their budget often stretches to paying their staff but with little left over for operational expenses. Sometimes we see staff time invoiced to us, sometimes we don’t. You can assume that there was taxpayer input in addition to our money to most of the projects documented here. We call it leverage. Applications for project funding are by invitation, and given the current environment projects are being funded for one or two of the people who have delivered best in the past. Our major effort is now the Puangiangi restoration project. 1080, or sodium fluoroacetate, is applied aerially in cereal baits for quick, cheap and effective predator knockdown. It is one of the most powerful weapons in the conservation arsenal. Despite the uninformed claims of the anti-1080 brigade it is safe enough to use when applied according to best practice, and the benefits in forest and animal recovery far outweigh any localised and temporary effect on non-target animals. We support increased use of 1080 (and new-generation products like PAP) and decreased dumb regulation designed to slowly strangle this important conservation practice. To those for whom this topic is a new one, please follow the link for some background information. If you are in the anti-1080 camp, we respect your viewpoint and won’t be trying to tell you what to do on your own land, but please note that if you send money here we’ll spend it on 1080 drops (please don’t contact us either- this is not a forum for 1080 “debate”).